Apart from Indian tourism cynosure Taj Mahal , Golden Triangle Tours are also a classic introduction to Indian subcontinent especially for the first time travellers on holidays in India. If you've never been to this subcontinent before, start here for it could not get any better than a Golden Triangle India tour packages. The word “Triangle” represents three important cities of India where tourist visit in this tour – Delhi , Agra & Jaipur.The unique “Golden Triangle Tour ” in India not only making your holiday amusing and exhilarating but give you a perfect chance to witness the true captivating art, culture and heritage of Indian Subcontinent. 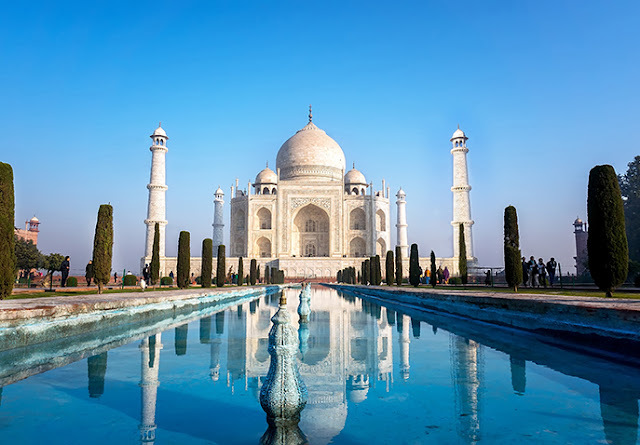 In this package of golden triangle tours visitors get chance to cover three important cities of India – Delhi (capital of India , also called union territory of India, known for some historical monuments like Jama Masjid , Humayun Tomb , Red Fort , India gate , Parliament House , Raj Ghat , President House , Qutub Minar etc ) , Agra (district come under jurisdiction of State Uttar Pradesh was also capital of Mughals before it was shifted to Delhi. In Agra you can see some world heritage sites constructed during regime of mughals prominently known Taj Mahal , Agra Fort & Fatehpur Sikri. This city is vital component of Golden Triangle Tours because of Taj Mahal) & Jaipur ( Capital of state Rajasthan , formerly known as Pink City. This city depicts monuments construted by Rajput Maharaja & play indispensable role in package of Golden Triangle Tours. In this city travellers can see beautiful edifices constructed during regime of Rajput rulers like Amer Fort , City Palace, Jantar Mantar Observatory & Hawa Mahal) . The golden triangle tour could be completed in 3 to 4 days but if visitors has good time that it could be extended for few days by annexing some other tourist destination in it. Generally this tour start from Delhi because of being International embarkation point. Below we mention how tourist destinations are appended in Golden Triangle Tour with Haridwar & Rishikesh Get Ur Holidays. Amritsar,Kerala, Varanasi, Himachal, Khajuraho and many more Indian tourist destinations. If you still haven’t found the right tour that you were looking for, email us or talk to our tour executive who will be happy to tailor-make one for you.